Could a beer company successfully launch a wine under its own brand? A Carlsberg Cabernet perhaps? Or an Adnams or Anchor Steam Albariño? Until quite recently, I’d have thought the question preposterous; now I’m far less sure. After all, it wasn’t so very long ago that I’d have dismissed the notion of a wine company launching a vodka or a brewery selling a cider. But Cupcake, last year’s fastest growing wine brand in the US has indeed released an award-winning range of vodkas and AB InBev’s Stella Artois Cidre has just recorded £36m in UK supermarket sales during its first year on sale. When Cidre was first launched, many industry experts dismissed its chances, especially given the strength of Magners its main competitor. But just under half of the Cidre sales were incremental to the cider and beer categories. The value of Magners sales actually grew by 21% by value across the same period. But, I hear you say, beer and cider are quite different to wine. Well, up to a point, would be my response. When people drink best-selling sweet Californian “white” rosé, are they really drinking “wine” as traditionalists understand the term? I ask because, while researching consumer attitudes to a 5.5% pink South African wine with added flavours, few recognised that it was not one of those Californians. Booming sales of low-alcohol flavoured wines like First Cape’s Cafe Collection from the wine aisles of UK supermarkets suggest that in Britain at least, there’s plenty of flexibility in the way that consumers view inexpensive “wine”. Another example of the way that lines are being blurred comes with VINNI, a new launch by McGuigan (disclosure: a company for which I have provided consultancy and research). Unlike Cafe Collection, VINNI is technically and legally a wine – a 5.5% Moscato – but it comes in a pint-sized (568ml) bottle and has a label that describes it as “wine based refreshment”. Tesco, the UK’s – and the world’s – biggest wine retailer evidently believes in VINNI, having just decided to list it in all of its stores. Now please don’t misunderstand me. I’m not saying that drinks like these are going to take over the wine market, but I’ll lay a bet that – at the high-volume, lower end of the price spectrum – they will be increasingly important. And they deserve at least as much attention as the “Natural” wines that have commanded so much attention. Since posting this I’ve discovered that Adrian Atkinson of Pernod Ricard asked this very question at a recent conference. Credit to him for raising it first! Is this the revival of the Wine Cooler market ???? With big brand wine marketeers wanting a share of the alcopop market I think it is inevitable in the cycle of product re-invention. Either way, their volume sales should at least deserve some attention…. if for no other reason but to sell against it. Gregory, of course you're right that the wine industry is cyclical, but I suspect that some trends are one-way-streets. Blends may be making a comeback in the US, but varietals are here to stay. Coolers were briefly huge as a US wine industry phenomenon. What I see happening now could be bigger than that, especially if more global drinks giants and retailers get on board. The wine industry is rich with multiple segments and targets. There are those who buy wines at $20 USD and above but they represent a small number of units. Globally, most wine that is sold is under $10 USD per bottle. (Roughly 85% based on volume) So to most consumers of wine, their brand choice is an alternative to other types of alcoholic beverages (beer, spirits, etc.) From a marketing and branding perspective, when I see wineries diluting their brands and overextending the meaning of their brand, I think they are making a big mistake. A brand needs to stand for something and have a story behind it. When a beer becomes a wine or vice versa, it defeats the purpose of differentiation and only stands to confuse consumers. If I send you into the store to buy a particular wine brand, can you even find it in the wine aisle with the 700 brands and 1000 SKU’s? Confusing! Hey Robert… I think you should also discuss the impact of duty on the creation of these products… with less than 5.5% comes a HUGE cut in duty which allows for these low alcohol wines to be sold cheaply. 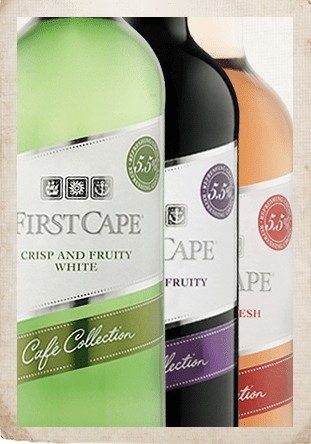 Even FirstCape low alc wines were selling at RRP 2.99 in Tesco on promo and tesco.com – so we need to really ask the question are people buying just cos of price and the state of the “crisis” in global markets (lower disposable incomes)or whether indeed they truly want a lower alcohol wine. In our research that we have done, most people don't really want lower alcohol but they ARE open to it as long as it tastes ok. The problem with a lot of these wines is that they taste watered-down, and not so nice. A great example of something I personally believe will succeed is the flavoured low alcohol wines from ORIGIN Wines – Fair Hills I think – via Bernard Fontannaz. They taste fun, nice, trendy. The red wine could be a little less dark in colour but the rose and white are great. In terms of the Cupcake story – these people know how to try to build a brand… It's a little boring only sticking to wine, but you can't start doing product extensions when there is no real following of a brand/product. I think CupCake know they are on to something and more importantly they seem to understand their community of followers/consumers. Once you build this, you can do anything within reason… But until that time, product extensions/range extensions will fall flat on their face. People/consumers, want something DIFFERENT. The wine trade needs to start realising that there is always a place for the wonderful Barolos and Sauv Blancs out there. BUT there is equally a need and always a place for innovation and new sub categories into the wine market. Jeffery, Catherine, thank you for your comments. I generally agree with both of you, but with some provisos. If we broaden our minds, we could consider the fact that Mont Blanc is now a successful brand of perfume, that BMW makes bicycles, that Apple is about to launch a tv and that Virgin does everything. Everything depends on the strength of the brand – and the coherence of the offer. Mercedes stumbled with its A-Class small cars, but Porsche managed to market an SUV. Virgin has holidays, music and now, a bank, but it failed with its clothes and Cola. So, I'm not saying that it's easy, and there were plenty of people who predicted that inBev would fail with Cidre and that Apple would fail with phones. Catherine, again, I do agree with you, but would only say that in the UK wine world we over-obsess about the importance of the UK and its duty regime. The lo-alc Moscato boom in the US owes nothing to British excise duty rates. Cupcake's Vodka is another US phenomenon; Cidre is currently UK-only, but I'd be surprised if it were not wheeled out elsewhere. It is just a brand extension. Nothing more or less…Well a whole lot more extension.